Did you guess the location and year of today’s Flashback photo? 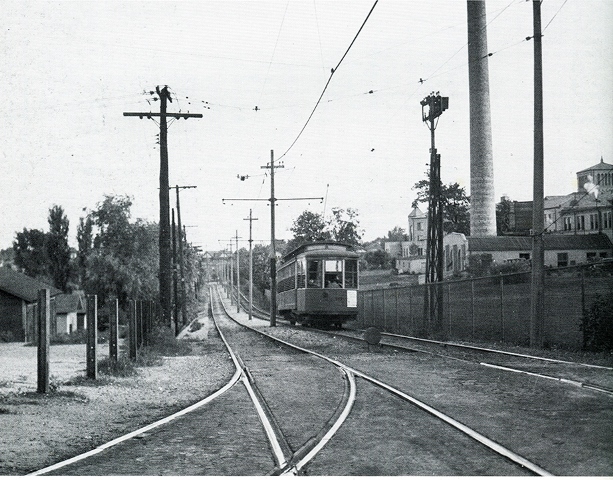 Pictured is a World’s Fair class streetcar headed northbound approaching Wise Avenue on the City Limits line. The date is April 26, 1931. St. Mary’s Hospital is on the right. Just a stone’s throw from this location is Dogtown, the site of next week’s St. Patrick’s Day bash. Let Metro take you to all of the festivities — both this Saturday’s parade downtown and Tuesday’s neighborhood parade in Dogtown. Visit tripplanner.metrostlouis.org/ to plan your trip.